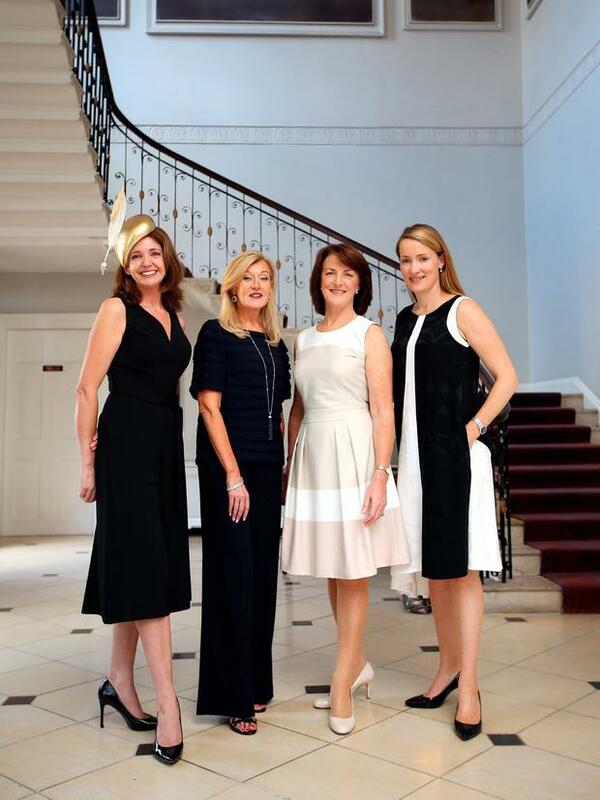 The essence of Irish racing style went under the spotlight when Bairbre Power, fashion editor of the Irish Independent hosted a lunch at the Merrion Hotel in advance of the Longines Irish Champions Weekend. Now in its third year, the Irish Champions Weekend is one of Europe's richest racing weekends and brings together two iconic Irish race meetings at Leopardstown and the Curragh this Saturday and Sunday, with some of the Europe’s finest horses competing for a prize-fund of €4.5m. Meanwhile, on the fashion front, the two days of racing offers valuable style prizes worth €25,000 to be won. The Longines Prize for Elegance is a coveted trophy and Saturday's prizes include a luxury stay at The Merrion hotel as well as fantastic shopping experiences with top Irish fashion designer, Louise Kennedy, a men's prize from Louis Copeland and on Sunday, Kildare Village are sponsoring a style prize. Louise cut short her holiday in the Hamptons to attend the intimate lunch organised by Dorothy McCann, brand manager of the five star Merrion Hotel with the Irish Independent who are official media partners of the prestigious two day racing event. A roomful of key players drawn from the worlds of Irish racing and fashion gathered for lunch and a round table style discussion which proved lively, informative and throw out lots of tips for ladies and gents hoping to win in the style stakes this weekend. We spoke with Eimear Mulhern, chairperson of Goffs, the Bloodstock sales company and owner of Abbeville stud who travels to all the top racing and bloodstock events across the world and milliner Carol Kennelly whose successful international hat business run from her home in Tralee grew out of a Best Dressed win at the Galway races in 2008. Tamso Doyle of Baroda Stud, and owner of one leg of the hugely successful Clondaw Warrior, chipped in her advice on how to create a winning look and what to avoid. Orla Murtagh, wife of jockey-turned-trainer, Johnny Murtagh told us about her favourite look and racing commentator Brendan McArdle offered his style tips for men.